There is breaking news as HARP rates for mortgage refinancing have fallen again. Yes, many homeowners are still finding the HARP refinance program attractive because the "loan to value" is irrelevant for qualification. Recently, Fannie Mae and Freddie Mac announced that they rewrote the HARP guidelines for people seeking help with an upside-down refinance. Imagine finding a lender to approve your refinancing request no matter how far underwater you may be. The new HARP refinance program does just that with No loan to value limitations. For example, if you owe $345,000 on a home located in Mission Viejo, California and your property is appraised at $250,000 you would be eligible for a HARP refinance loan if you had a lien owned by Fannie Mae or Freddie Mac that closed prior to June 1, 2009 even though your loan to value was 138%. Relief for upside-down loans won't be around forever. The Home Affordable Program is only available for a limited time, so discuss your situation to one of our HARP refinance lenders today. According to a recent article Zillow, interest rates had fallen near record levels on several high LTV products such as FHA and HARP refinancing plans. Based on a recent survey with BofA, Citi and Wells Fargo a vast number of homeowners have reasons to be hopeful because with HARP 3.0, the loan to value requirements have been removed thus greatly increasing the likelihood of more borrowers qualifying. According to the report, the banks have been swamped with HARP refinance applications. Last month alone saw 60% of mortgage refinancing applications at Bank of America and Wells Fargo reported that over 40% were for the Home Affordable Program. BD Nationwide can match you with HARP refinance lenders that have ramped up their staff with more underwriters and processor in an effort to support the increased demand. What Are the Requirements of the Home Affordable Refinance Program? This underwater mortgage aid program is exclusively for refinancing a mortgage held in first position. Initially, the HARP refinance loan enabled underwater homeowners to get refinancing up to 125% loan to value, but now Fannie Mae and Freddie Mac removed all "Loan to Value" limitations so there are no longer any LTV caps. You cannot refinance a 2nd mortgage or a home equity line of credit. This is a unique opportunity for people that are strapped with an underwater mortgage so act now because this HARP program won't last forever. There has been some breaking news as the Obama Administration expanded the HARP mortgage program by enabling homeowners to refinance without any loan to value restrictions at all. • Payment History - Have ever been more than a month late on your home loan payment in the last 6 months? Were you over 30-days late more than once in the last year? Today is your first mortgage current? • What kind of home do you pay your mortgage on? - 1- to 4-unit investment property. • Do you know if your mortgage lien is owned by Fannie Mae or Freddie Mac? • Did your mortgage close on or before May 31, 2009? • Is your present Loan to Valueless than 80%? Take your estimated home value and divide it by your current loan balance to calculate your Loan to Value (LTV). Refinance standards for HARP require the customer be at or above 80% LTV to be eligible. Are You Eligible for a Refinance from the Home Affordable Refinance Plan? According to the FHFA, your mortgage must be owned or guaranteed by Fannie Mae or Freddie Mac. The loan must have been sold to either one before May 31, 2009. You must also have less than 20 percent home equity and you cannot have had any payments reported late in the last six months. One 30-day late is allowed in the last year. In a recent report, the Obama Administration said that HARP Lenders that approve refinancing under the Home Affordable Refinance would no longer be liable for under-writing mistakes or fraud committed on the refinance loan. This new measure was very essential for HARP lenders to get being HARP 3.0. Since these risk factors were removed, the HARP refinance has successfully helped hundreds of thousands of consumers in the U.S. lower their housing expenses with a fixed rate loan backed by Fannie Mae or Freddie Mac. This meant that Wells Fargo, for example, could HARP-refinance a Bank of America mortgage and not worry about whether mistakes were made on the original loan. Under the original HARP release, both banks had liability for errors which is why "same-servicer" loans were so common. 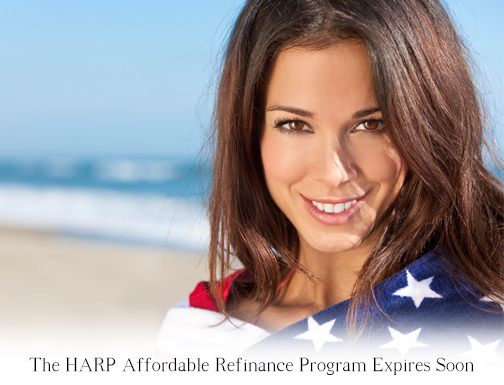 * HARP refinance rates and program guidelines are subject to change without notice. Use this calculator to determine various payment options on HARP refinance loans. Analyze the benefits of refinancing without equity. Calculate the monthly savings when you compare your current loan with the proposed payment that offers a reduced interest rate. NO LTV Refinance with HARP 2.0 - The second coming of the Home Affordable Refinance Program blazes new trails by ignoring LTV guidelines. The latest HARP refinance loan is very comfortable with negative equity. Consider this latest mortgage aid mandate from Fannie Mae and Freddie Mac. This option is will only be available for a limited time, so if you have an underwater mortgage, you should talk to a loan officer today and verify your eligibility. 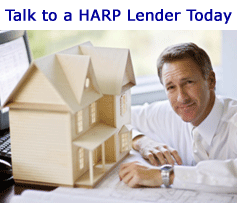 Our HARP refinance lenders will help you determine if you meet the qualification criteria. This famous Obama refinance program has announced favorable changes making even more homeowners eligible than before. Did you know that millions of Americans remain eligible for the latest HARP program? 5 Steps to Refinance and Underwater Mortgage - The standards are finally becoming more reasonable for loan applicants seeking refinancing help because of equity or credit obstacles. Our team can help you understand the HARP refinance guidelines and how they apply to you. Please note that this is not an advertisement for credit. Nothing on this site contains an offer to make a specific home refinance program for any purpose with any specific terms. BDNationwideMortgage.com does not make loans or guarantee approvals for loans under the Home Affordable Refinance Program. HARP refinance rates are subject to change. BDNationwideMortgage.com has no affiliation with any government entity. Copyright © 2001-2018 and Beyond, HARP refinance loans are subject to approval from Fannie Mae or Freddie Mac. HARP Rates are subject to change. All rights reserved. Please note that not all applicants will meet the eligibility requirements or be approved for the HARP refinance.